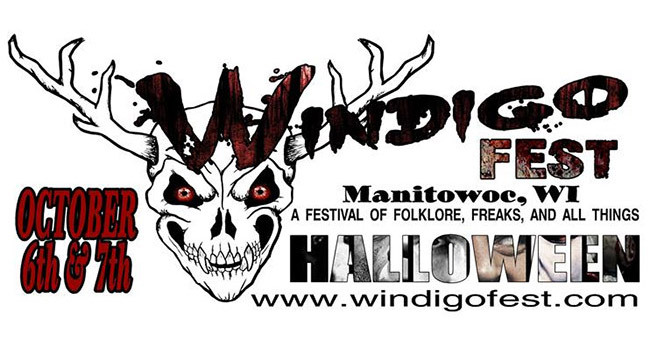 The inaugural Windigo Fest is happening this October in historic downtown Manitowoc to celebrate all things Halloween. Festivities will include live music, costume contests, blood drive, dark art exhibits, bizarre performances, historical cemetery bus tour, Pall Bearer relay, Fright Film Fest, vendors, a Halloween parade, and more. Entertainment will include the flame-throwing heavy metal bagpiper Badpiper, jack-o-lanterns by Dori, Deadgar Winter’s Dark Coffin Classics, music by Road Trip, Da Gof Rockerz, and Ratbatspider, fortune and tarot reading by Skully Sati, and more to be announced. And it’s all happening on the street right in front of the Dead by Dawn Dead & Breakfast.